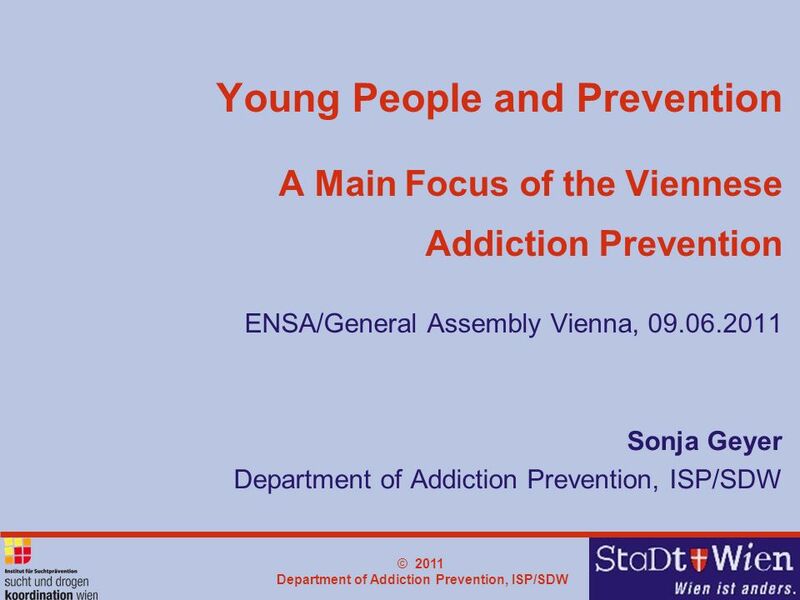 © 2011 Department of Addiction Prevention, ISP/SDW Young People and Prevention A Main Focus of the Viennese Addiction Prevention ENSA/General Assembly. 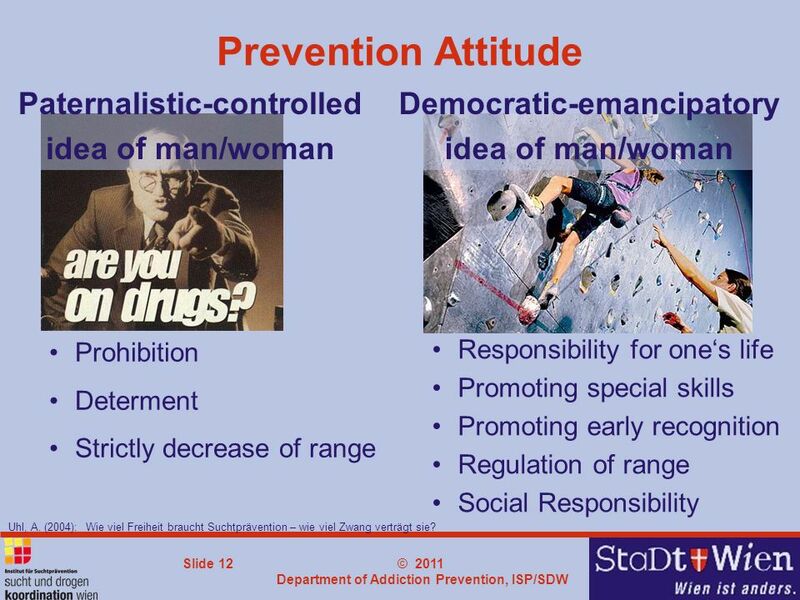 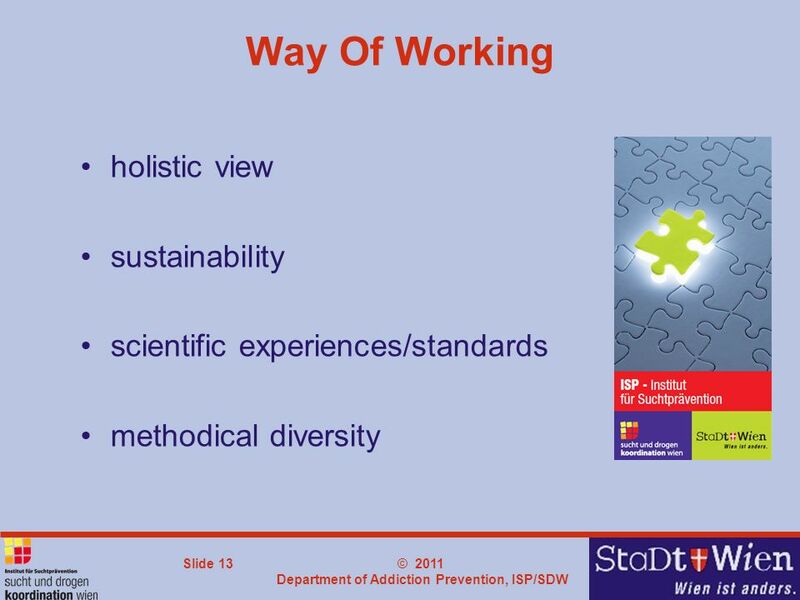 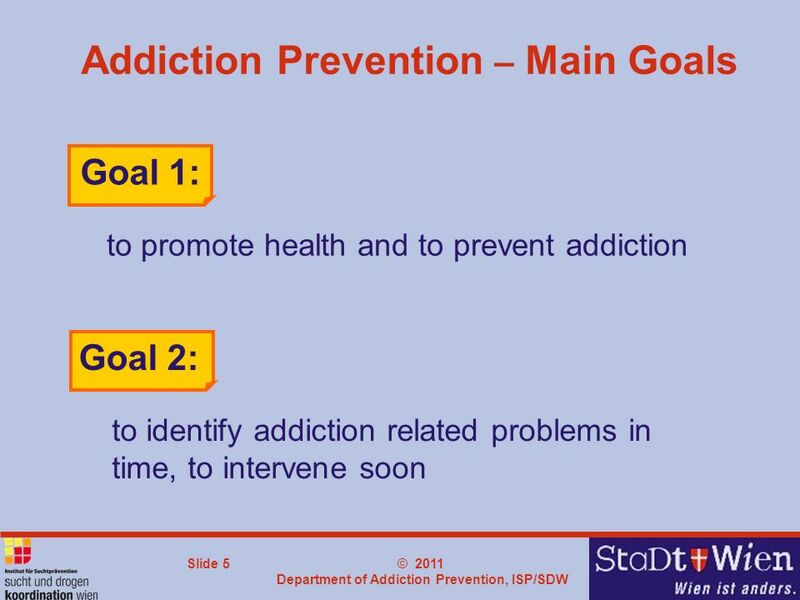 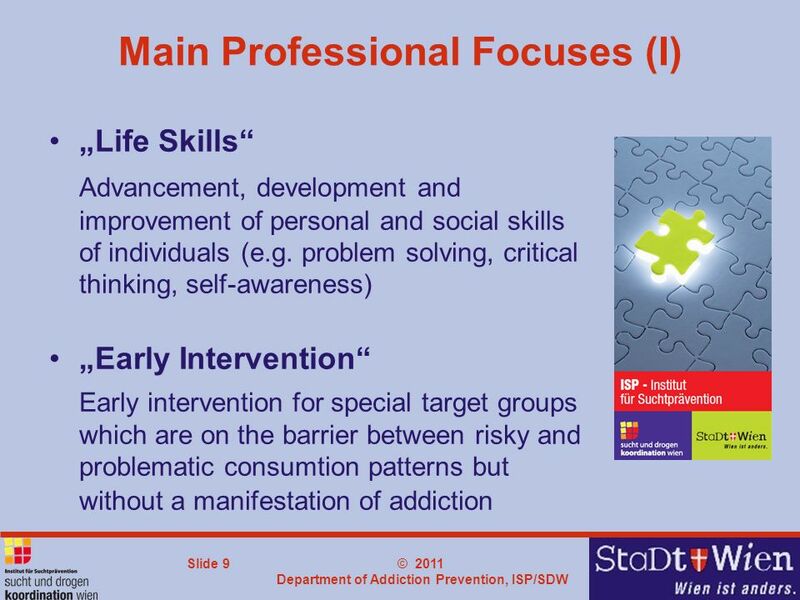 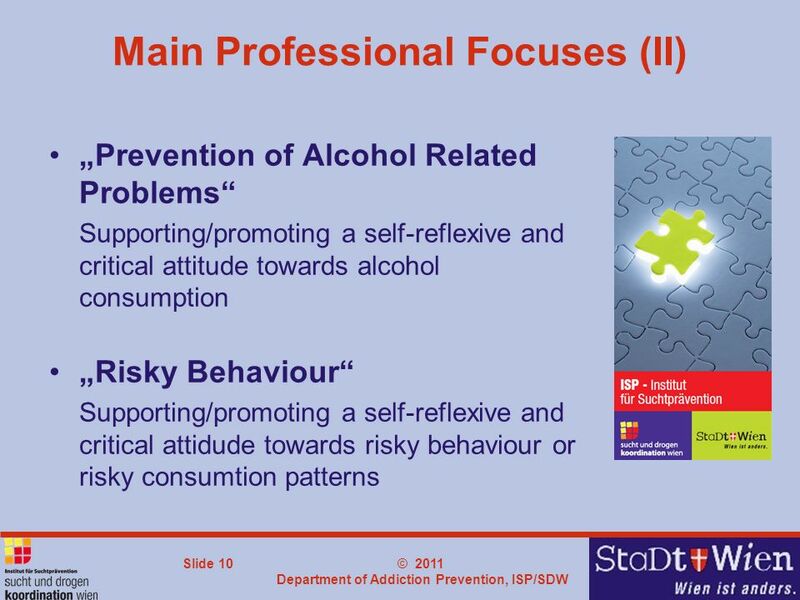 12 © 2011 Department of Addiction Prevention, ISP/SDW Slide 12 Prevention Attitude Democratic-emancipatory idea of man/woman Paternalistic-controlled idea of man/woman Prohibition Determent Strictly decrease of range Responsibility for ones life Promoting special skills Promoting early recognition Regulation of range Social Responsibility Uhl, A. 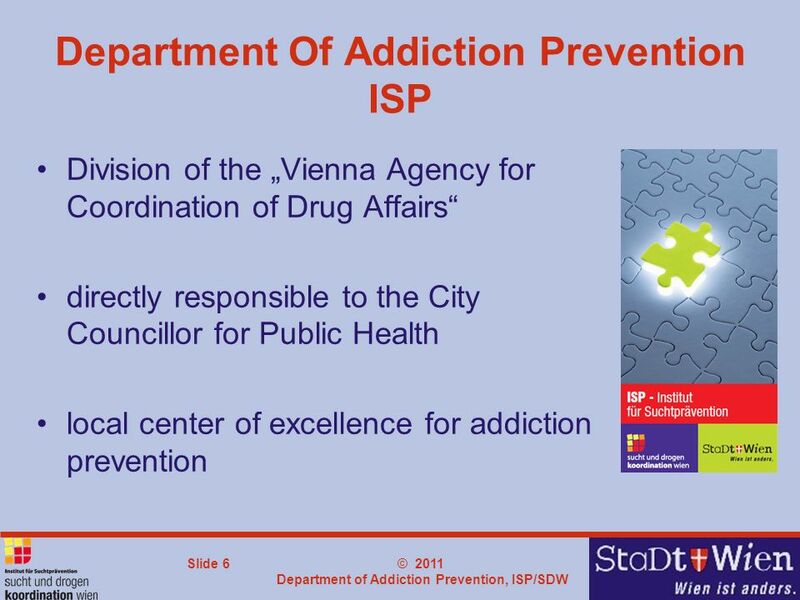 (2004): Wie viel Freiheit braucht Suchtprävention – wie viel Zwang verträgt sie? 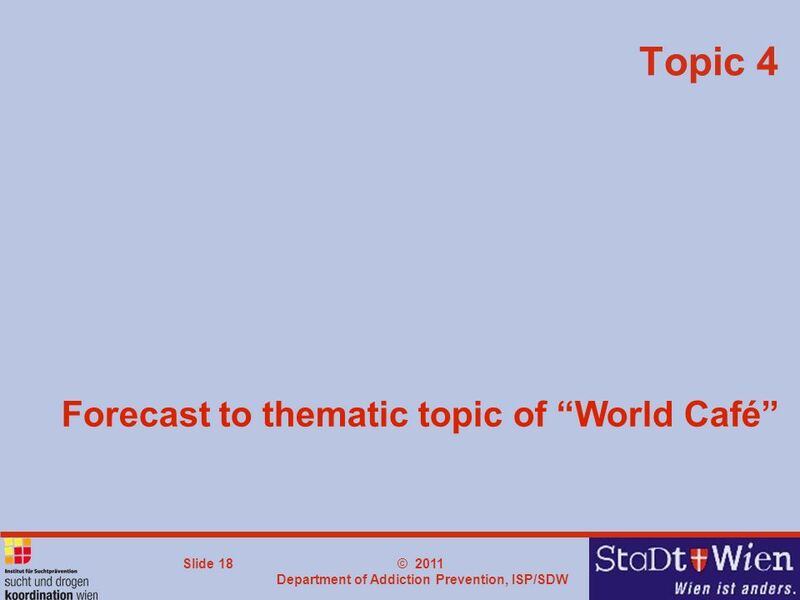 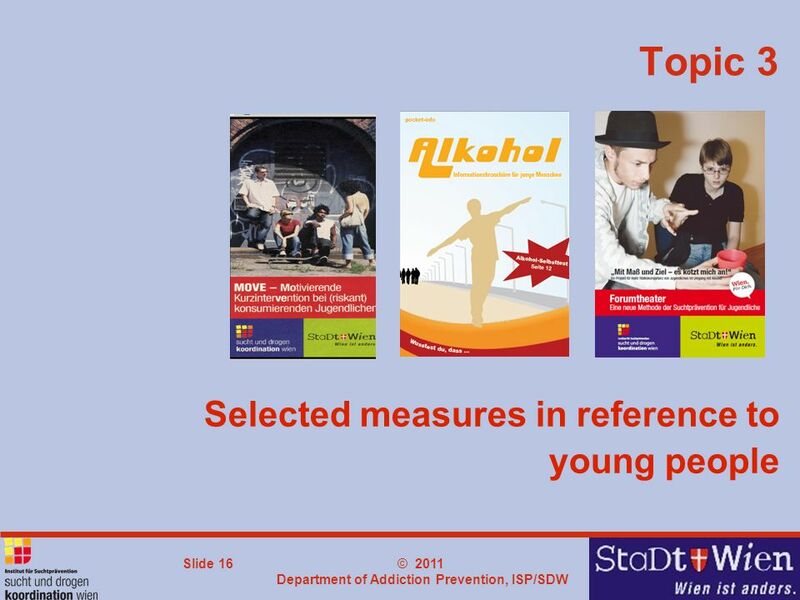 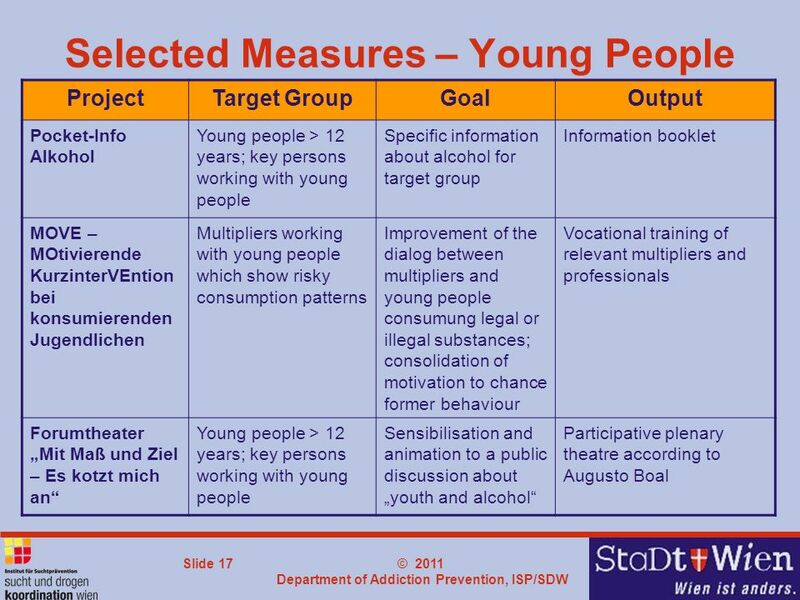 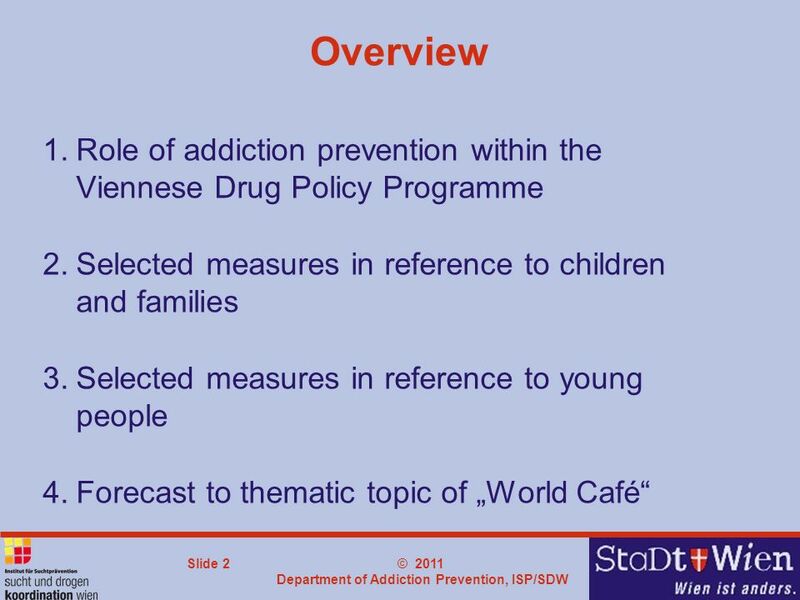 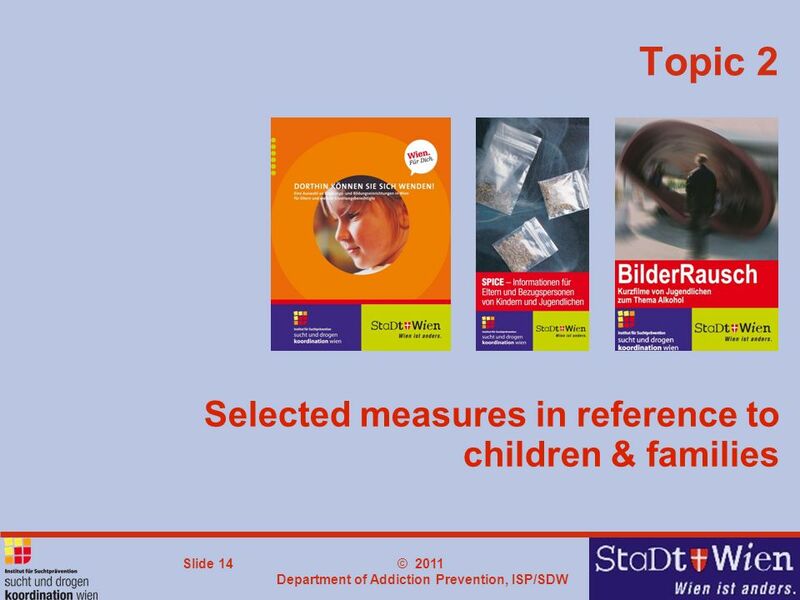 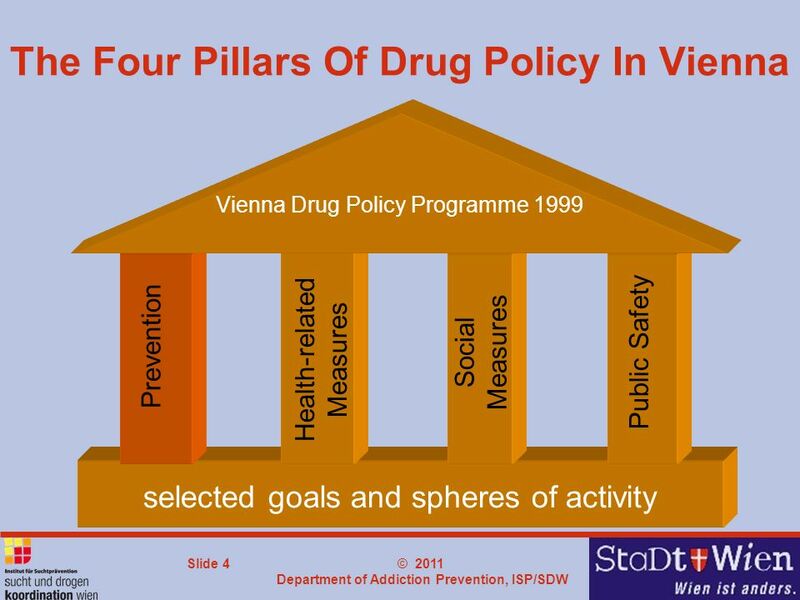 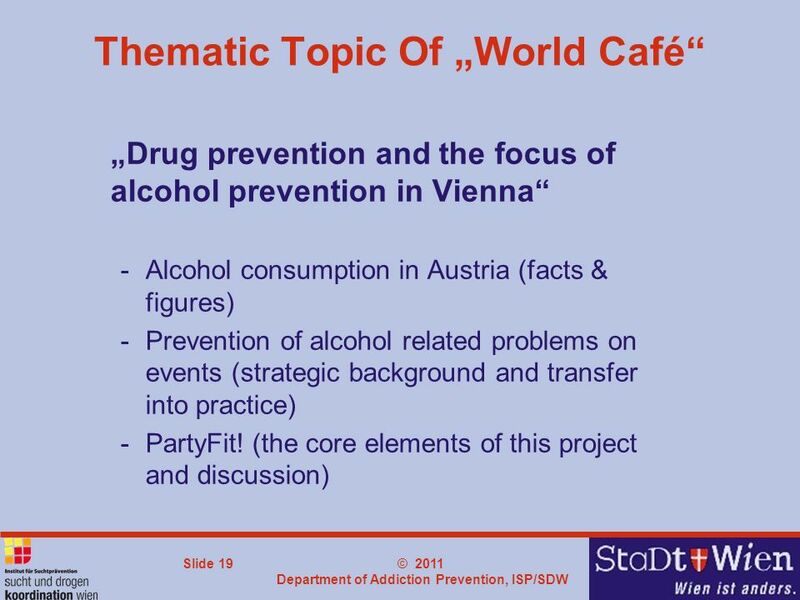 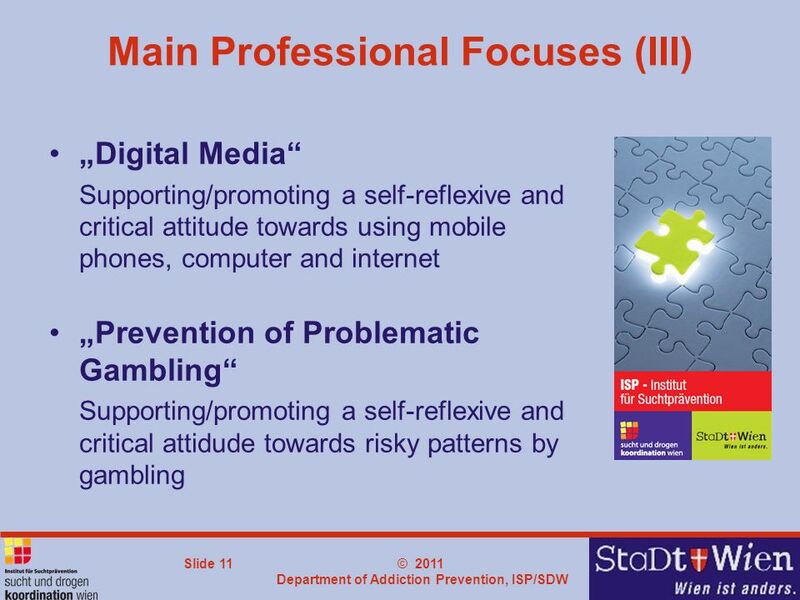 Download ppt "© 2011 Department of Addiction Prevention, ISP/SDW Young People and Prevention A Main Focus of the Viennese Addiction Prevention ENSA/General Assembly." 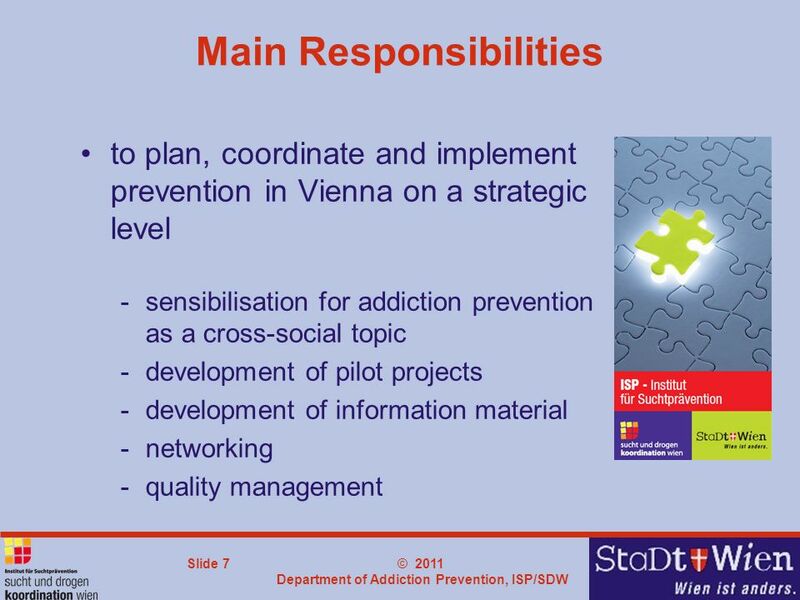 1 Lessons learned – success factors for biodiversity projects Peter Tramberend Environment Agency Austria.